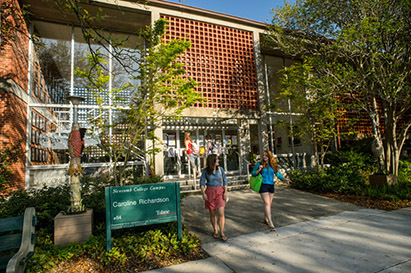 Originally built as a dormitory hall, Caroline Richardson was torn down to make room for Doris Hall. By 1958, there was no building called Caroline Richardson, though the original building was named after a member of the class of 1895, who also served as the first Counselor to Women at Newcomb College. The College decided to name the new (in 1958) women's dining hall after Richardson. In 1972, the building underwent renovations, and became known as The Parlour. In 1975, the second floor became the Center for Research on Women, complete with the Nadine Vorhoff Library. Please proceed to Weatherhead Hall, campus building number 59, to the site where New Doris Hall once stood. 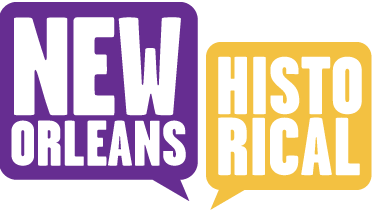 Newcomb College Institute, Lauren Dean, “Caroline Richardson Building ,” New Orleans Historical, accessed April 24, 2019, https://neworleanshistorical.org/items/show/212.